The last few weeks have been pretty busy, but very enjoyable. 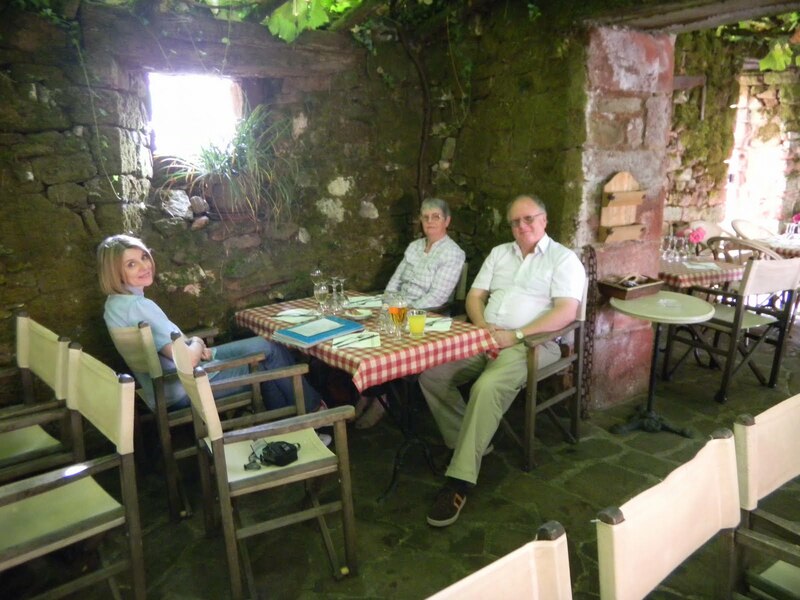 At the start of the month we had a visit from Jim and Angela, whose BMW Z4 sports car must have impressed the locals! The weather wasn’t as good as we might have hoped, but we took them on what is becoming our regular tourist trail – Collonges le Rouge, Brive, Donzenac, the wine tasting at Le Saillaint and they very kindly treated us to dinner at L’Auberge sur Vezere (more commonly known as Sarah’s). We also have a drive that describes a circle around the local countryside, and has some splendid photo opportunities. Unfortunately our Discovery had some serious over-heating problems, and had to have some serious surgery. We were lent a rather ancient Peugeot 205, which actually did us rather well. After seeing them in a car that can be safely described as well packed on their way to the Franco-Swiss border, we nipped up the road, dropped Bertie off in kennels, and caught an evening flight back to UK. As we landed so late, we stayed in a hotel at Stansted. 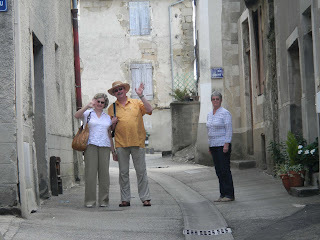 We had hired a car – a Chevrolet Epica, and no I have never heard of it either – and we then headed off to Essex where we saw Nick and family and picked up Rachel. Off from there to the Cotswolds, lunch at the pub in Filkins where we met a few friends, and a night stop with Rennie and Peter – lovely. We then motored up to a hotel near Stoke on Trent, where we were due to attend a party to celebrate the 25th wedding anniversary of Judy’s sister Gill and her husband Phil. We had a very enjoyable time, meeting relatives, and finding that some of the other guests knew the part of France we are in. After a night in the hotel we drove back to Essex, where we dropped off Rachel, who was house sitting for Nick and Lisa. We then returned to Stansted, where the holiday was slightly spoilt when we were charged £584 as there was a tiny chip in the windscreen! We paid, under protest, and are challenging them….vehemently. After a few days rest (and yes we did remember to spring Bertie), David had a very interesting job drawing up a floorplan for a really nice chateau. A big job, but really interesting. It’s for sale if anyone’s interested…. We then had Dave and Juliette to stay for a thoroughly enjoyable few days. They seemed to enjoy themselves, and we took them to all the nice places, and they treated us at Sarah’s – are we getting too predictable? Anyway, they were quite reluctant to leave, which is always a good sign. Got the Discovery back, surgery wasn't quite as extensive as we feared, but I don't get the bill until next week. So that’s it for a couple of weeks, until Judy has a quick trip back to London all on her own.